This intuitive and interactive digital media, located in the lobby, has been designed using Christie MicroTiles panels and its contents are managed with Float4 software. 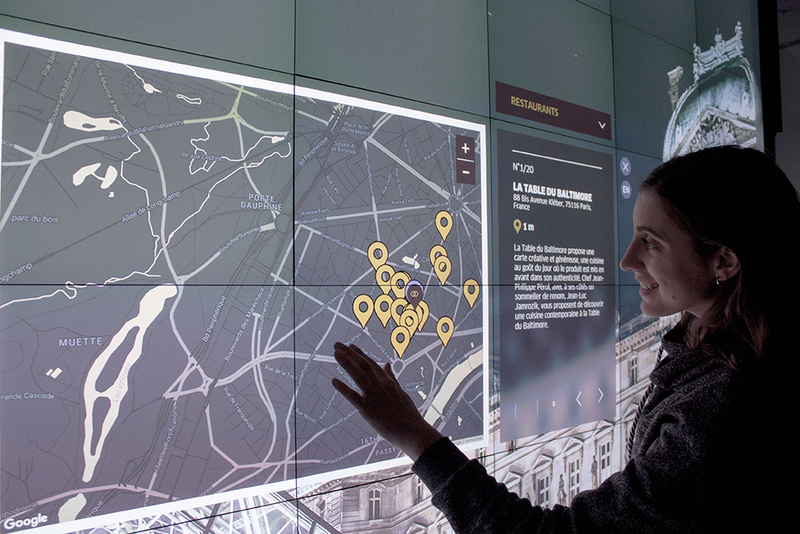 It's a screen of 3 × 2 m multi-touch high resolution which provides information in real time and allows you to draw and share works of art, as well as taking selfies. In the lobby of the Hotel Sofitel Baltimore Paris installed a video wall that keeps the guests, at the time that transforms into a digital canvas from which works of art are displayed and lets take selfies so visitors can share them with their friends via mobile and social networks. This digital 3 × 2 m stand has been designed using the panels Christie MicroTiles and their content are managed through the platform RealMotion from float4. 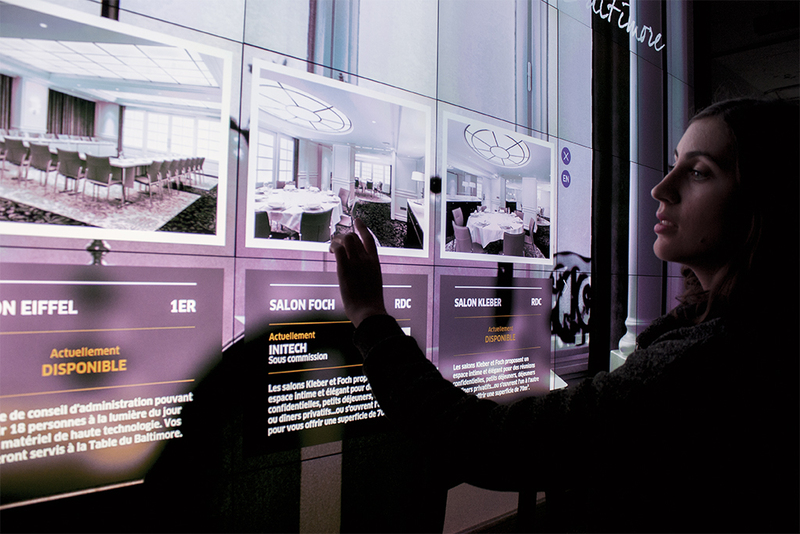 The hotel was looking for a video wall that welcome guests, that was informative, interactive and intuitive, easy-to-manage and update, and which will be integrated with the structure and design of the building. "We have achieved these objectives by designing an experience that focuses completely on the end user from start to finish. An intuitive tool that complements the aesthetics of a space of the 19th century has built", explains Sevan Dalkian, Chief Technology Officer of RealMotion. RealMotion platform was presented at the global level in InfoComm 2017 and has been used by Float4 designers to create innovative user experiences. This tool is the result of the experiences collected over the years by the Float4 study team who are constantly creating digital experiences within physical spaces with vision for the future as the Hotel Sofitel Paris Baltimore, Mere Hotel in Canada, the offices of eBay, the Seneca Buffalo Casino or the Liberty Lights Mall in Cincinnati (Ohio), among others. "We developed the platform RealMotion as the logical evolution of the consulting services of design and generation of content that we offer to our customers every day. It is a platform that is now being installed on sites of customers all over the world,"says Alexandre Simionescu, co-founder of Float4. The interactive video wall which was installed in the Hotel Sofitel Paris Balitmore is designed to capture the attention of guests arriving and start an attractive interaction, while entertaining and fun. 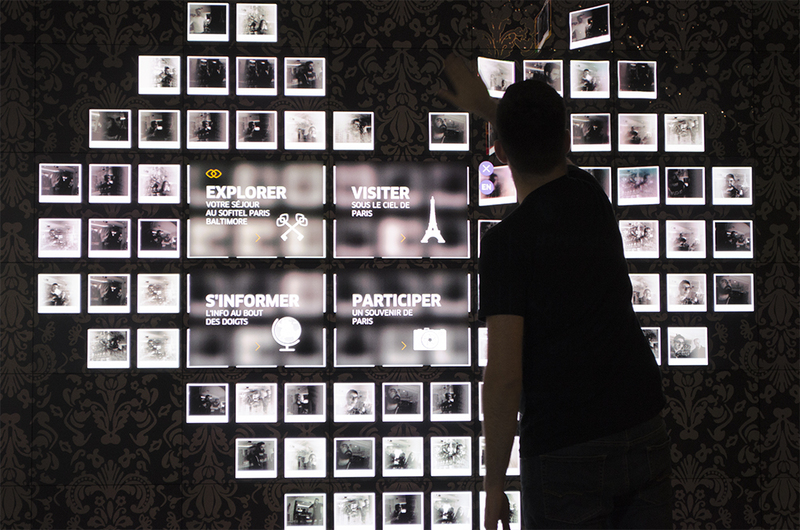 Once they are attracted by the images that are displayed on the screen, guests are caused so that they interact with it. Screen shows works of art that attracts the attention of guests and respond to your movements, a photo booth, and a virtual Concierge, where you can explore Paris. The hotel staff can log in to the content management system and help create a route to visit Paris according to the interests of the host. You can also download the route in mobile. 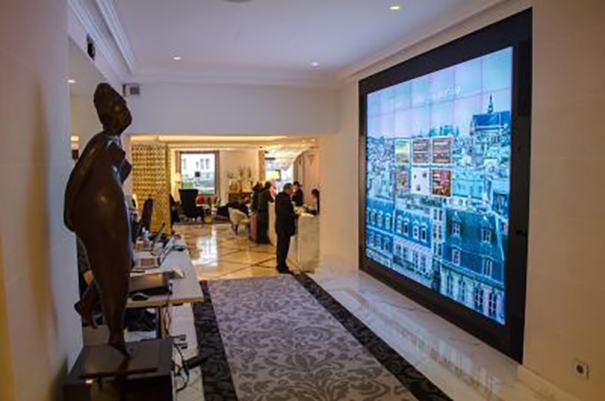 The RealMotion system installed at the Hotel Sofitel Baltimore Paris generates, especially resolution 6K, which is maximized by mapping of pixels of the system features real-time content. The RealMotion to enable composition in real-time has allowed to Float4 incorporate various types of media, such as for example, HTML5 for interfaces, graphics in real time and high resolution for background elements video. 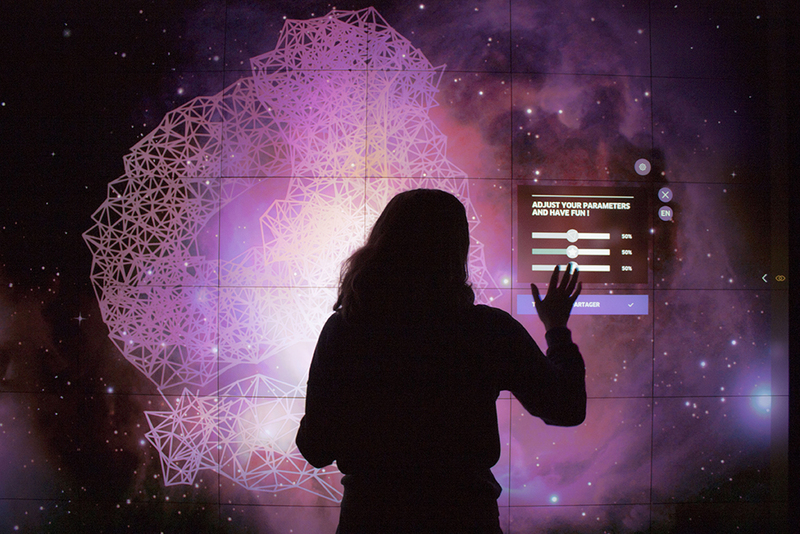 Interactive technology in layers allowed him to combine movement capabilities and multi-touch to create a progressive interactive experience. Content management system allows the staff to customize the videowall information, including the creation of tailor-made itineraries through Paris, which can be downloaded to mobile phones of guests. A selfie station allows visitors to take photos and share them with friends directly or through social networks. Available in configurations Ultra, Pro, Lite and Micro to meet specific needs of each project, the RealMotion platform consists of three major components. RM Designer module, allowing users to create, collaborate and implement content using software Edition, generation and composition in real time. RM Servers hosts, generates, connects and allow the management, reproduction and delivery of content in real time. And RM Admin module provides monitoring of the system online, information flow and management.